Neonatal depression is a general term to describe the condition of any newborn showing a prolonged transition from intrauterine to extrauterine life, in the immediate postnatal period. The variable degree of depression is inversely related to the Apgar score, with 1 min scores of 0–3 indicating the most severe forms, which may include perinatal asphyxia. Despite major advances in obstetric and neonatal care, perinatal asphyxia remains a serious condition which may occur in the intrapartum, immediate postpartum, and early neonatal period. Perinatal asphyxia can be associated either with an uneventful course or with significant mortality and long-term morbidity. Therefore, reliable diagnostic and prognostic indicators are essential for a prompt recognition and treatment of newborns at risk for subsequent negative outcome. 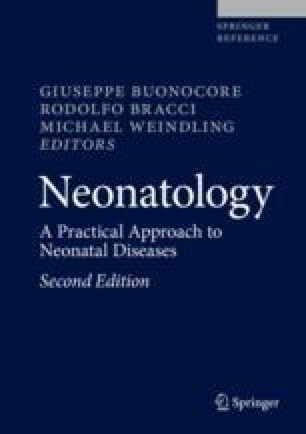 However, the early detection of perinatal asphyxia still constitutes a challenging target in neonatology. Despite several biochemical markers of asphyxia are available nowadays, none of them have shown sufficient reliability in predicting long-term neurological outcome. Electrophysiological and neuroimaging investigations, such as aEEG, diffusion weighted MRI, or magnetic resonance spectroscopy, may provide early valuable information, but may be not easily available. Further research is still needed to validate prediction models capable to identify neonates at risk of dismal outcome due to perinatal asphyxia, allowing an adequate and timely diagnosis, treatment, and counselling.